This hand-painted holiday greeter has plenty of cheer to spread! Each figurine is made of durable materials and comes with its own LED lantern. 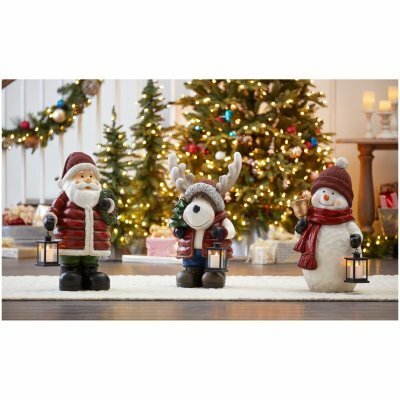 Add decked out in the festive holiday colors and clothes, these classic 27-inch Christmas figurines Door Greeters add a lively touch to your holiday décor. Each handcrafted figurine is equipped with it's own LED candle, batteries included.